Sometimes I feel a bit silly, cutting up fabric...sewing it together one way...then cutting it up again...and sewing it together to form something else. But there you have it, this is what I've been up to the last few days. These "filler" blocks in my quilt are quite scrappy. 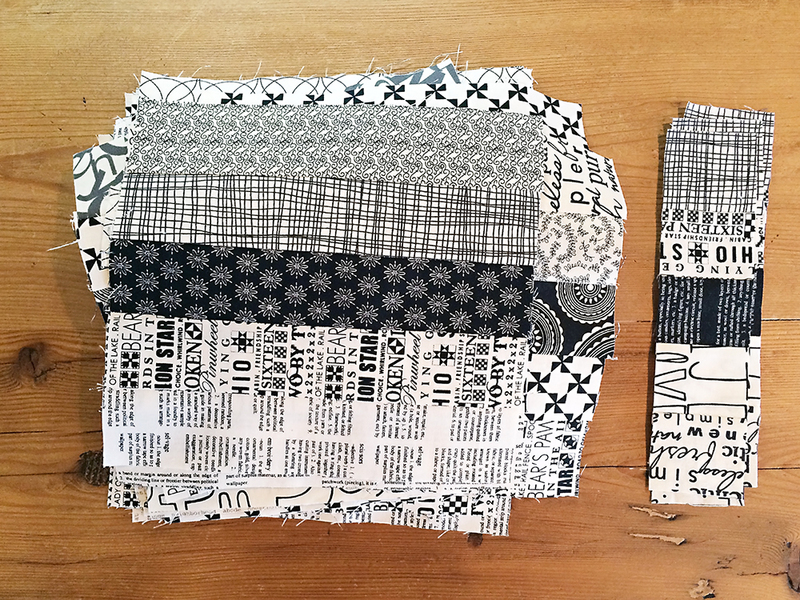 I am doing some strip piecing to speed up the process, but not using such long strips that there is a noticeable repeat in my scrappy background. A bit tedious, but I've been watching The Paradise on Netflix and it has been pleasant company. Oh, and just when I said I was getting settled back into a routine, the kids had off school because of dangerously low windchill temperatures (-35 supposedly!). Lucky for me they play nicely together, and have a lot of new Legos to keep themselves occupied. 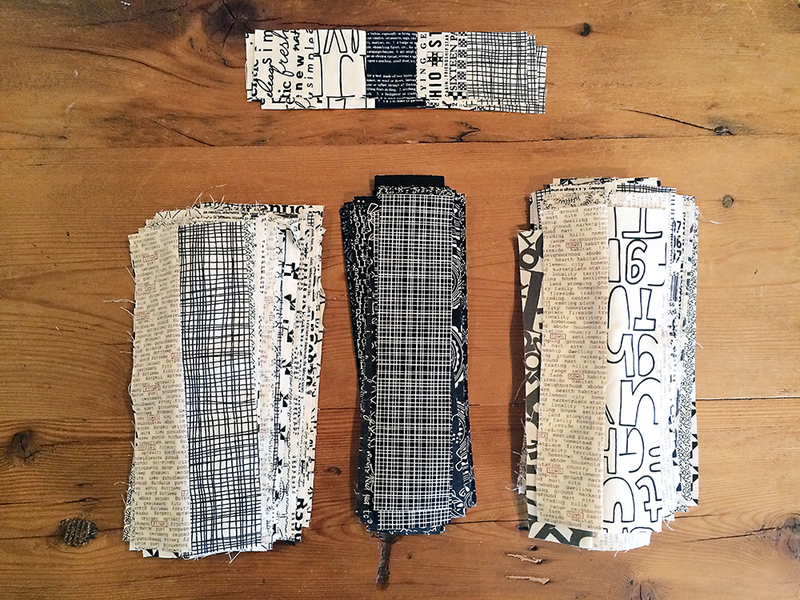 I have everything ready to mix and sew for the final blocks. I'm hoping this step will only take one more day. Besides finishing these blocks, I need to make some quilt hanging sleeves for a few quilts that I'm honored to have had accepted into QuiltCon. I need to mail those around Monday, so Friday just might be quilt-sleeve day! Wish me luck, I'm not entirely crazy about hand stitching, but I have always had success with Jacquie's tutorial.